We would like to welcome you here to Premier Car Wash, where we can offer you more than any other car washes in las Vegas. Premier car wash is a family-owned and operated company that offers full auto washing, auto detailing, headlight restoration, smog checks, window tinting, and windshield repair. Our employees are always available to assist you with all your questions, concerns and requests. We are open seven days a week. We vow to provide each of our customers with fast, friendly service as well as a quality wash every time. Is your time valuable? is the outside temperature uncomfortable? Premier car wash will wash your car in a reasonable amount of time and have you on your way. Any time of the year, premier car wash and our friendly staff will take care of your car getting cleaned inside and out. Is the interior of your vehicle dirty? 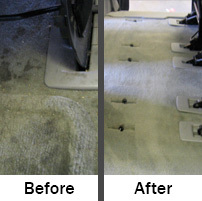 Just add 10 minutes to your visit and our staff will provide additional drying to the exterior of your vehicle, wipe the door jambs, clean the interior windows, wipe down the dash, vacuum the seats, carpets and floor mats all while you wait. Need something more extensive? Is it time to turn in your leased vehicle? Are you selling your vehicle? Or maybe you just returned from the family vacation? WE CAN HELP! Just make an appointment for our detail service. We'll shampoo the seats, carpets, and floor mats. We'll deep clean and dress the interior and hand wax the exterior.